Well behaved dogs are good travel companions. Bringing your dog on vacation is such a great way to experience the world with your furry child. Dogs are such loyal pets and they enjoy seeing new places with their owner. If you’re someone who owns a dog and is thinking about traveling with him, then continue reading for some fabulous tips that will help you survive traveling with your dog. If you’re planning to travel with your dog in a vehicle for a long period of time, then you’ll want to first take a test drive. It’s important to find out how your furry child handles being in a vehicle for long stretches of time. This will allow you to prepare any necessary travel items for car sickness, should your dog show signs of car sickness during this test drive. Create a checklist of items that your dog will need when traveling. This could be their food and water dishes, medications, treats and obviously actual food. Pick up a gallon-sized water jug so that your dog will have ample supply for hydration. These jugs can easily be refilled at a freshwater lake or roadside well accesses that some states have along the roadway. Bring an extra leash just in case something happens to the one you are using. Don’t forget to bring poop bags for cleaning up after your pet when you walk her. Think about all the adventures you’ll be going on when traveling with your dog. 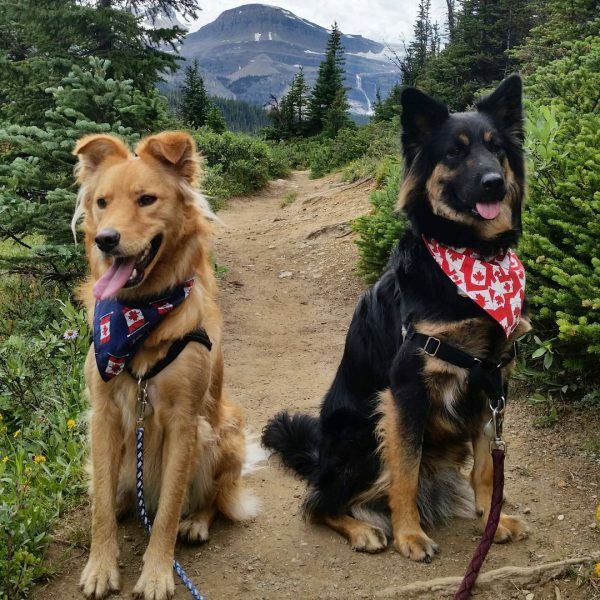 If there will be hiking adventures, then grab some products that will make the hiking trip more comfortable for your furry child. They make booties for dogs as well as backpacks for hiking dogs. Be sure to make a list and purchase any accessories prior to your departure date. A dog owner should always get a wellness check for their dog before traveling. Make an appointment for a well doggy visit for your pooch before you travel. This will also let you share your travel plans with your veterinarian and let them answer any outstanding questions you have about traveling with your dog. It’s important your dog is deemed healthy enough for traveling. There are many hotels these days that accept pets, but you should never just assume that the hotel you reserved does. Be sure to ask if they do so you won’t be disappointed when you arrive. These simple tips will help you and your furry child travel in comfort and style when you attempt to hit the open road on a new adventure together. The most important part of traveling with your dog is that they are just as happy as you are to be on this adventure. Oh my goodness, what beautiful dogs! Tabitha, those are my “grand dogs”. I think they are beautiful too.